The new revolutionary Cello Lighting patented "LaLune" can be found at IntelligentLEDbulb.com distributed by Electronic Supply Chain Solutions. Get dimming capabilities eliminating the need to change existing switches or ballast. Absolutely no re-wiring is needed. Cello allows users to set 4 different lighting levels in accordance with preferred settings. Easily solve the problem of excess lighting in spaces without the need to de-lamp, while reducing energy usage and cost. Why are Luxul Cello Lamps the best? Cello Tubes LED lamps easy Plugnplay installation save energy and cut costs. Switch out old tube bulbs for Cello's lamps to get the option of several light dimming levels. Reduce to just 20% for conference projector usage or 50% for idle areas. Set your office space to 80% or 100% for when you really need that extra lighting. By using a building’s existing lighting infrastructure, facilities can get their return on investment in the shortest time without having to change ballasts. Create a unique workspace with Luxul Cello Tube Lights! Many fluorescent bulb users try to de-lamp fixtures to achieve what Cello does with the flip of a switch! Give your space a balanced look as missing or dead bulbs do not convey a professional or healthy environment. Each Cello Lamp comes preprogrammed with 4 dimming options to be dimmed without the need to rewire existing lighting system, switches, or a dimmable driver. Cello Lamps allow a user to personalize their lighting on the fly from 100%, 80%, 50%, or 20% to accommodate changes in daylight thus providing the best lighting suited for their current environment to reduce eye strain all while providing additional savings up to 90% at the bottom line. * Cello Lamps are compatible with most electronic ballasts and dim with all existing lighting switches providing personalization of your workspace. Get your Luxul Cello Specs PDF Here! ORDER from ESCS LED PlugNPlay and Dim Cello Dimmable Tube Lights. Can't decide? Give us a shout, we'll help you out! Order both Cello Dimmable T8 "La Lune" where needed and other LuxulT5HO or T8 LED PlugNPlay tube lights. 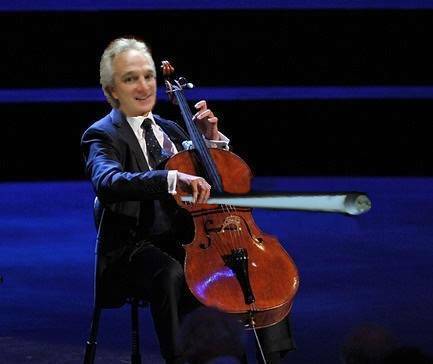 Contact the Cello "La Lune Hot Line! ESCS President Matt Heaphy plays the Cello with the new dimmable Cello LED Tube Light as his bow. He knows saving money with CELLO is music to everyone's ears!